As everyone probably knows, NYX made its way over to the UK a while ago now and everybody went crazy for the brand. That definitely includes me. Their products are incredible for how affordable they are. I remember trying to get hold of their coveted blushes on Amazon ages ago now, so its safe to say I’m happy they’re an easily accessible brand now. I thought I’d gather together some of my favourite products and have a lil chat about them. The obvious, Soft Matte Lip Creams. I think everyone went pretty crazy for these, and theres a good reason behind that. A very unique formula, which is lightweight and super comfortable on the lips. They definitely live up to their name, and have a great variety of shades. My favourites by far are, ‘Rome’, ‘Zurich’, ‘Cannes’ and ‘Abu Dhabi’. Mostly nudes or darker pinky shades, but those are my fave. Another lip product of their’s thats fabulous is the Butter Glosses. I definitely prefer my mattes but when I want to switch it up, this is my go-to. My favourite shade is ‘Angel Food Cake’, a gorgeous dusky pink which sits beautifully on the lips. One thats perfect for all year round due to how neutral it is. Onto my favourite face products. The ever so hyped about Taupe Blush. Even though its classed as a blush, for us pale gals its perfect as a contour shade. Its a very cool toned shade that creates the perfect shadow to give you those cheek bones (that you don’t have) haha! This is so easy to use, and my favourite product to contour with. I’m also a concealer addict, so I knew it wouldn’t take me long before I picked up their HD Studio Photogenic Concealer. Not my favourite concealer ever, but nonetheless a great one. It comes in a decent amount of shades, and is perfect for both under the eyes and on blemishes. An all round great concealer that I feel like would work on so many skin types. And finally, another firm favourite in my collection, their Matte Finish Setting Spray. This is brilliant for the price point, especially if you’re not looking to splash out on a setting spray. Preferably I’d get the dewy version next time but this still does the job, and locks my makeup in place pretty much all day. 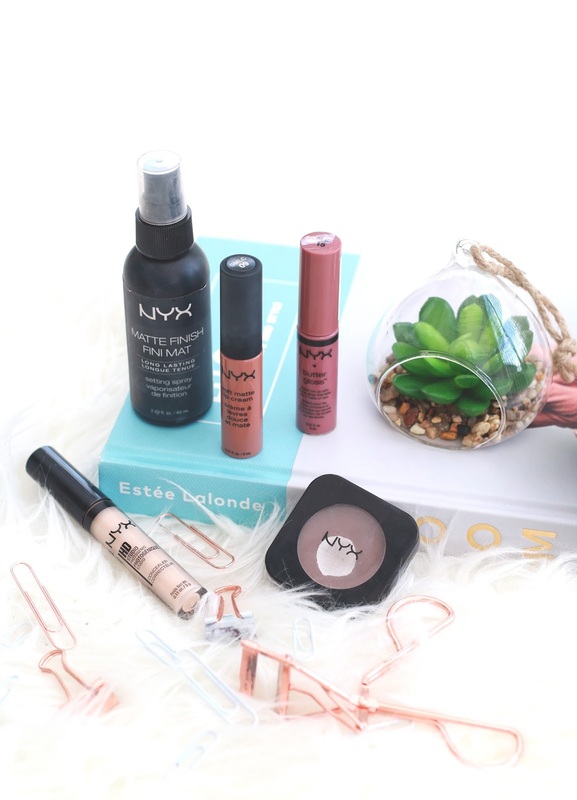 Whats your favourite NYX product?